April 29-30/14 - A convoluted weather system, whose moisture stretches for thousands of miles, is actively being influenced by NEXRAD stations across the continent. The moisture can be seen coming in from near the Gulf of Mexico, towards north eastern states, then curving back down, and finally curving back up into Alberta and Saskatchewan. It makes its way far north towards the Arctic. Surface analysis photos are provided at the end of this article. 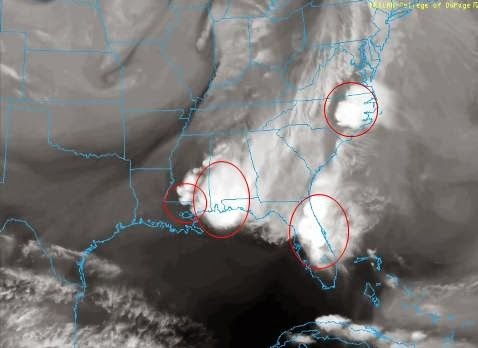 Cloud plumes can be seen originating from power plants in Louisiana, Mississippi, Alabama, Florida, and North Carolina states. To learn more about power plant aerosols and their impact on climate and precipitation, click here. 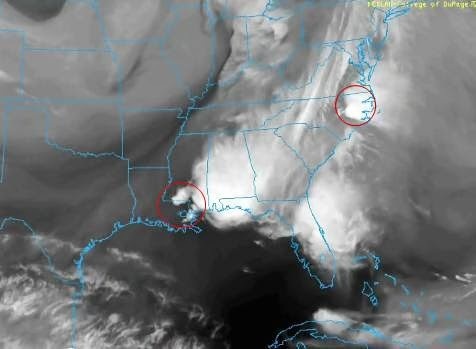 In the satellite portion of the video here, take note of the cloud plumes originating in Louisiana and neighbouring states just east of it. There are some massive power plants in many of these areas. See the power plants map here. Regarding the cloud plumes, watch each state in the video one by one, in order to correlate the cloud formations with the information below. We have listed power plants with large operating capacity in areas from where the plumes originate. We believe that these power plants are largely responsible for the massive cloud formations that dumped intense rain in some areas. See the accompanying legend to the right. Each energy plant below also has an operating capacity (in megawatts), which is important in determining the amount of aerosols that can be released into the sky. The energy plant names have been colour-coded for ease of referencing on the accompanying maps. 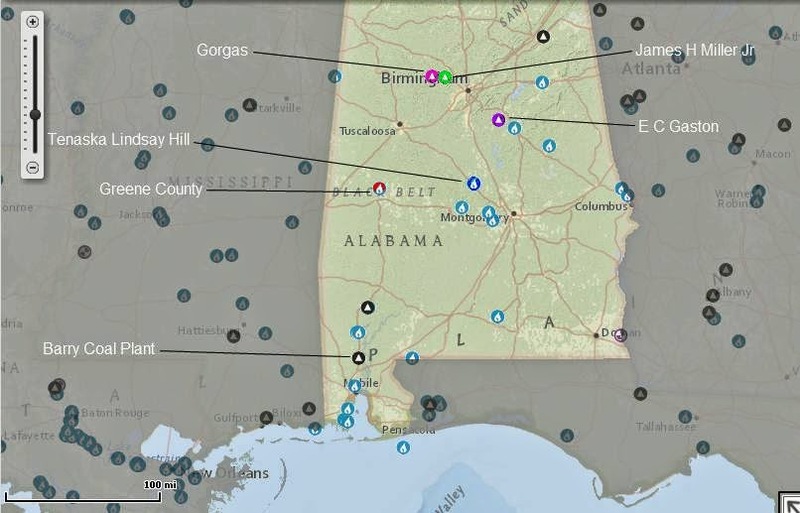 Clicking on the underlined state (in the caption) will take you to a map of power plants for that State, in which each power plant can be selected and explored. Click on the maps below to enlarge. Once clicked, use the right and left arrows on your keyboard to navigate through photos. Pressing escape or the top right x will lead back to the article. 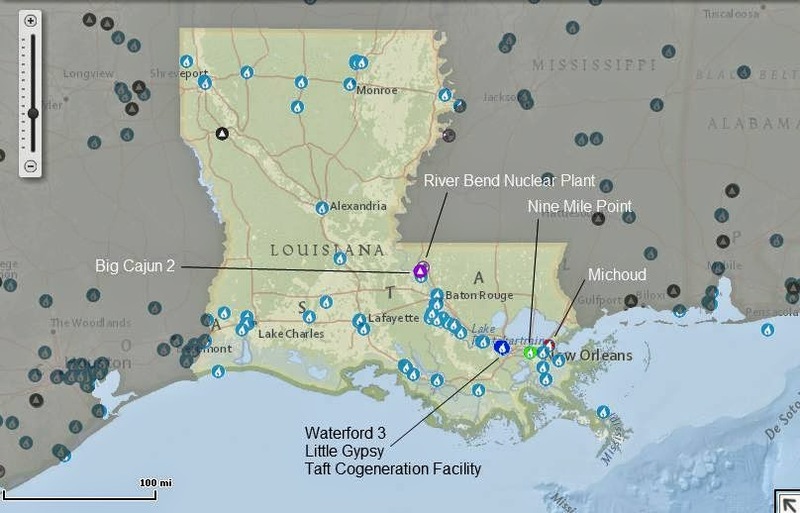 Louisiana - Top left to bottom right - Big Cajun 2 Coal Plant (1743 MW) and River Bend Nuclear Plant (975 MW); Waterford 3 Nuclear Plant (1159 MW), Little Gypsy (1159), and Taft Cogeneration Facility (790); Nine Mile Point (1365 MW); Michoud (705 MW). Mostly owned by Entergy Louisiana Inc.
Mississippi - Left to right - Jack Watson Coal Plant (998 MW); Victor J Daniel Jr Coal Plant (1992 MW). 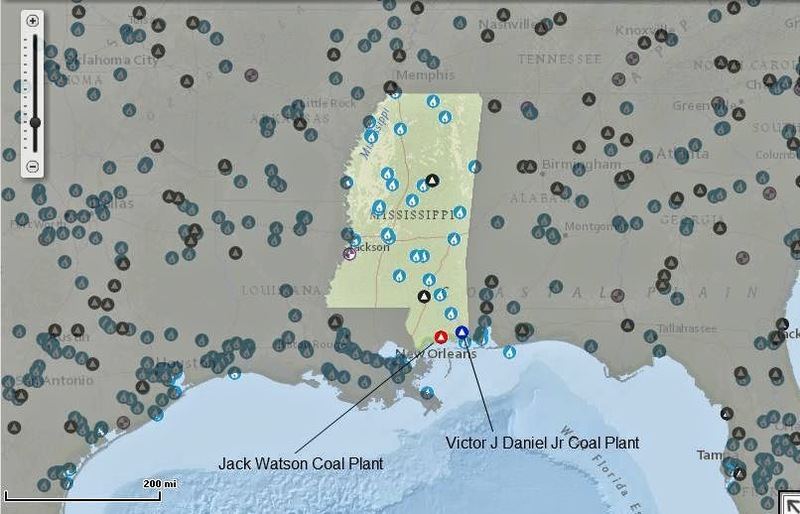 Owned by Mississippi Power Co.
Alabama - Top left to bottom right: Gorgas Coal Plant (1241 MW), James H Miller Jr Coal Plant (2675 MW), E C Gaston Coal Plant (1878 MW), Greene County (1237 MW), Tenaska Lindsay Hill (845 MW), Barry Coal Plant (2574 MW). 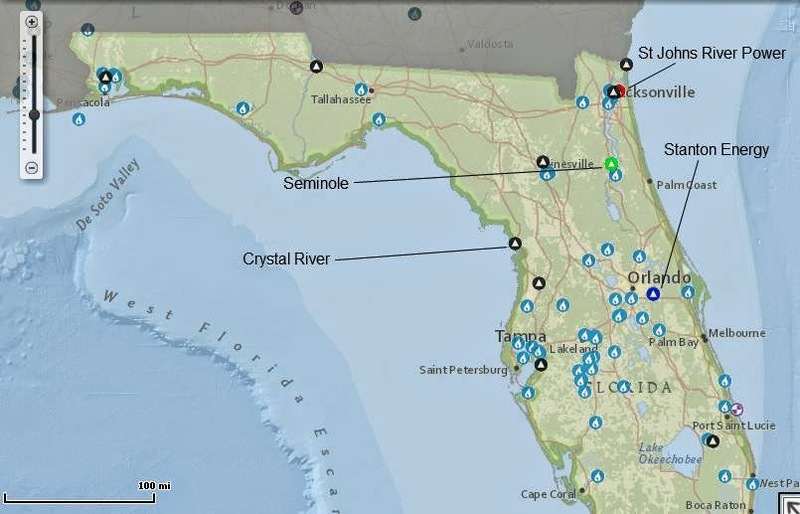 Owned by Alabama Power Co.
Florida - Top to bottom: St Johns River Power Park Coal Plant (1252 MW), Seminole Coal Plant (1363 MW), Crystal River Coal Plant (3161 MW), Stanton Energy Coal Plant (1181 MW). North Carolina - Left to right: Sherwood H Smith Jr Energy Complex (1922 MW), Harris Nuclear Plant (928 MW), Wayne County (863 MW). 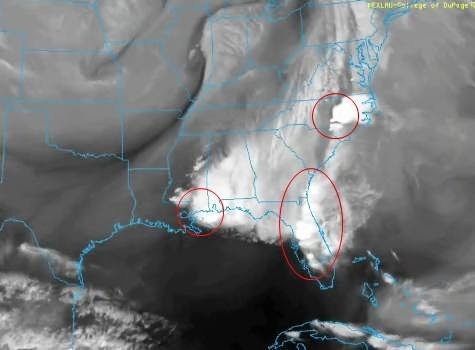 Mostly owned by Progress Energy Carolinas Inc.
Is it a coincidence that cloud plumes were seen on satellite originating from Louisiana state, which ranks second in the U.S. for energy consumption per capita? 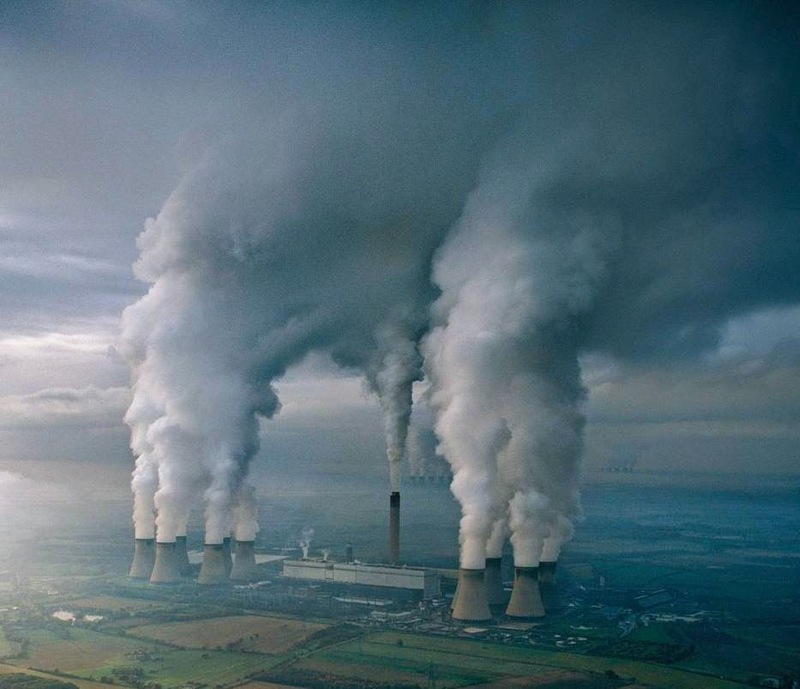 Learn more about power plant exhaust-induced cloud formations here. This is an excellent explanation with images, graphs, maps etc. to demonstrate how this system works. 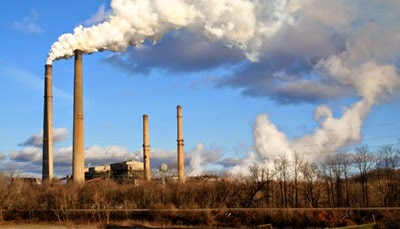 Of course they would use the radioactive emissions from nuclear power plants to enhance rainfall, because rad particulates are nucleating agents for moisture in air masses, and because they are highly charged, moisture condenses on the particles until they form a raindrop and fall to the ground with the rad particle inside the raindrop. This accelerates the cumulative effects of nuclear pollution on living things that has been increasing with each new nuclear technology introduced since Hiroshima and Nagasaki. It is a massive global depopulation agenda that was also established in the US State Dept. by Henry Kissinger: The Office of Population Control. He stated that depopulation was more important than nuclear bombs, and was necessary to maintain US hegemony. In other words - so the US could steal natural resources from weaker countries to keep the US at a higher standard of global dominance and living. I have watched the weather in AZ , In the last 10 yrs. Watching the chemtrails being sprayed before a storm and after the storm and sometimes they spray with all cloud cover, day and night. The real clouds have water but when they spray the chentrails it won’t rain. Then comes the wind, heavier particles up above then creates a wind tunnel effect between the earth and sky sucking out the moister and blowing to the eastern parts of the US. This is why California, NV, AZ ,NM, and Texas are drying up.The wind blows all the time, and hard winds too.When we get the Monsoons in past years we had lots of water, I have watched them spray the last 5 or so years, each year they spray heaver and heaver ever day, the monsoons drop very little water and then comes the wind and takes what ever it did rain. They are really doing a number on the southwestern states. The media insisted that it was jelly fungus, toy ammo, or floral decor. 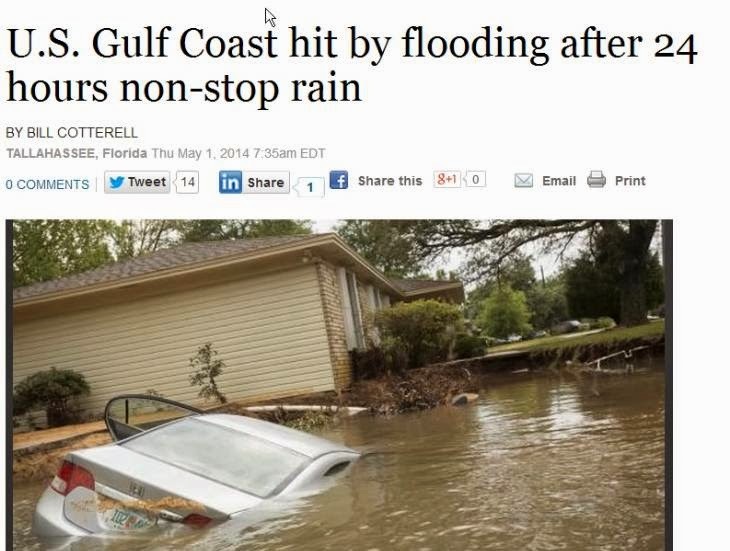 These weather criminals should be jailed. Arizona residents should demand an answer . Everyone needs to watch weatherwar101 on YouTube... VERY IMPORTANT! Some great research done by that individual! The recent videos are astounding. We will create a separate post for this!